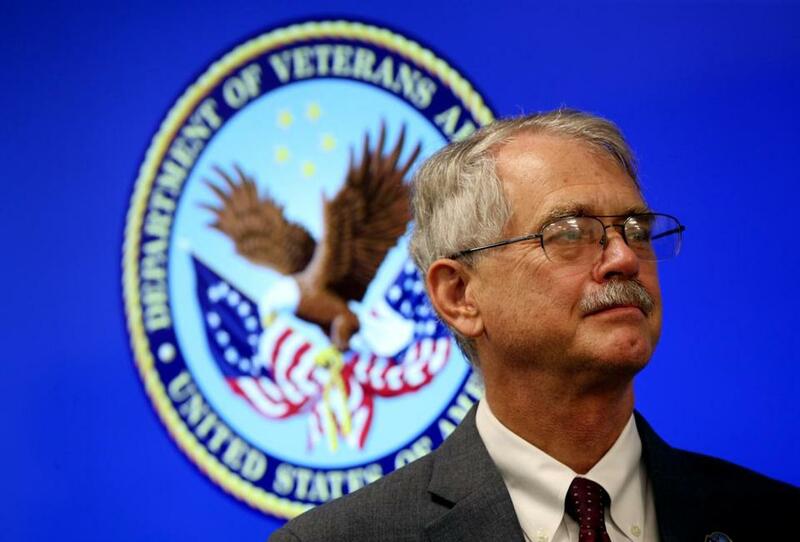 The embattled director of the VA New England Healthcare System retired under pressure Wednesday, leaving a network of eight hospitals and 48 clinics that had come under intense criticism for inadequate care and poor accountability. 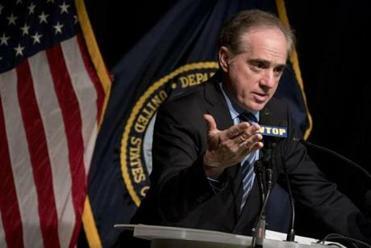 Dr. Michael Mayo-Smith stepped down on the same day that the inspector general of the US Department of Veterans Affairs released a report that found “failed leadership at multiple levels’’ in the federal government’s second-largest agency. The Globe’s Spotlight Team last year documented systemic breakdowns at the VA medical center in Manchester, N.H., a report that led to the ouster of four top officials, including the hospital’s director and chief of staff. An array of whistle-blowers, including a recently retired chief of medicine and former chief of surgery, told the Globe of concerns ranging from flies in an operating room to spine patients who were permanently disabled as a result of neglect. They also complained about surgical instruments that are obsolete and sometimes unsterile. With Mayo-Smith’s departure, the New England network will be restructured under Dr. W. Bryan Gamble, a retired Army brigadier general who will be interim director, according to Dr. David Shulkin, the Veterans Affairs secretary appointed by President Trump. The report is another blow to Secretary David Shulkin, who served at the VA then and is fighting to keep his job. Dr. Ed Kois, director of the spinal cord program at the Manchester VA Medical Center, welcomed Mayo-Smith’s departure. Mayo-Smith said in his statement that the staff had made “outstanding” achievements in patient access, mental health care, patient experience, employee satisfaction, and research. However, the federal Office of Special Counsel wrote in a sharply critical letter to the president that VA officials failed to seriously investigate multiple complaints of poor patient care at Manchester until media reports last year made the issues public. Mayo-Smith’s retirement coincided with Shulkin’s announcement of a broad overhaul of VA health care leadership that will affect many hospitals, including ones in New England; Washington, D.C.; Arizona; and California. Mayo-Smith’s tenure as director, which began in July 2008, has been marred by problems. In January, the Office of Special Counsel reported that a maintenance supervisor at the Bedford veterans hospital and his daughter made $750,000 in improper purchases and steered more than $200,000 to a landscaping company owned by a relative. A whistle-blower came forward with the allegations in 2011, but the claims were ignored until the special counsel ordered the VA to investigate. And in July 2016, the Globe was told, a Vietnam veteran at the Bedford VA Medical Center died while an aide on the night shift played video games without checking on him. “It’s now critical that new leadership and structures be put in place that will increase transparency, oversight, and prevent the issues that led to substandard care for our veterans,” Kuster said in a statement. A task force created to study conditions at Manchester will release its conclusions within the next several weeks, Kuster said in a phone interview. Kuster said she wrote to Shulkin in February, asking that Mayo-Smith be removed because of concerns at VA medical centers in Manchester; Boston; Bedford, Mass. ; and Chelsea, Maine. She did not go public with the request at the time, but Kuster released a statement Tuesday that called explicitly for Mayo-Smith’s removal when she learned that Shulkin planned to hold a news conference the following day. “I wanted to make it very clear that I was drawing a line in the sand that Dr. Mayo-Smith had to move on,” Kuster said. The congresswoman, the top Democrat on the House Veterans’ Affairs Oversight & Investigations Subcommittee, said she had been unimpressed with Mayo-Smith during a New Hampshire field hearing that the panel held in September. “Dr. Mayo-Smith was unable to provide satisfactory answers to what he knew about the deteriorating care at the Manchester VAMC and what steps he took to remedy those issues,” Kuster said in the statement. US Representative Seth Moulton, a Massachusetts Democrat and Iraq veteran, used his Twitter account to call for swift and effective change.